Subject: Today I'm asking you NOT to donate. This email was sent by 350.org on behalf of Jock Gilchrist, an activist working on fossil fuel divestment. I spent my senior year of college trying to convince the University of Delaware to divest from fossil fuels, and I can tell you one thing for certain: the fossil fuel divestment movement is changing the way young people like me think about climate change, and it's just getting started. As much fun as I had being a student activist, now that I've graduated I realize I have a new kind of power. Those of us who are college & university graduates are in a unique position to impact the divestment movement, and it's time for us alumni to step up! As 2013 draws to a close and the holiday giving season ramps up, we're asking college & university alumni around the country to take a pledge: this year, don't give to your alma mater. Don't donate until they agree to divest from fossil fuels. Click here to take the alumni divestment pledge. To college and university administrators, alumni are potential donors first and foremost -- so let's send them a message they can't ignore. 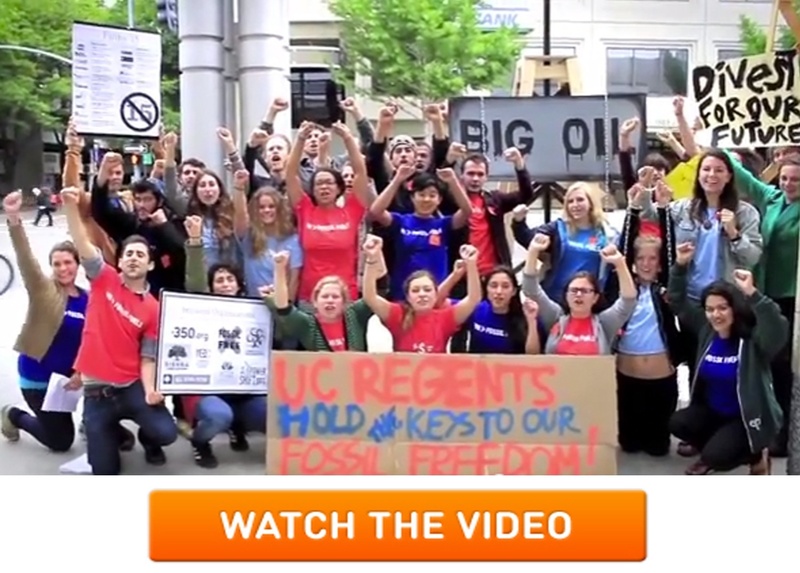 Tell your alma mater that if they're investing in fossil fuels, you're NOT investing in them. We need to remind them of the ideals they stand for: the pursuit of truth, the development of a strong moral compass, and the ability to use that compass to stand up for what's right. Student divestment campaigners around the country have been doing amazing work. They've run petitions, tabled on campus, held educational events, pushed the envelope with marches and sit-ins, and met with dozens of administrations. They've had some exciting victories — and received a few (temporary!) rejections that have only made them stronger. Now it's time for the rest of us to pitch in. If you're an alumnus or alumna, we need your voice. Click here to take the pledge. P.S. OK, I'm asking you not to donate to your alma mater (unless they divest). But if you need a good home for those donation dollars, the team at 350.org would like me to add a plug for their year-end fundraising push. You could do a lot worse than helping to fund a bigger, better climate movement in 2014!